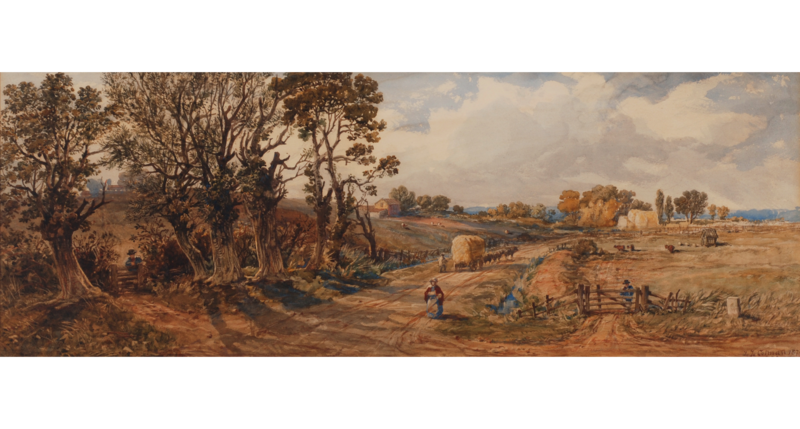 John Joseph Cotman 1814 – 1878 was the eccentric second son of John Sell Cotman, taught Drawing in Norwich and in Kings College, London. 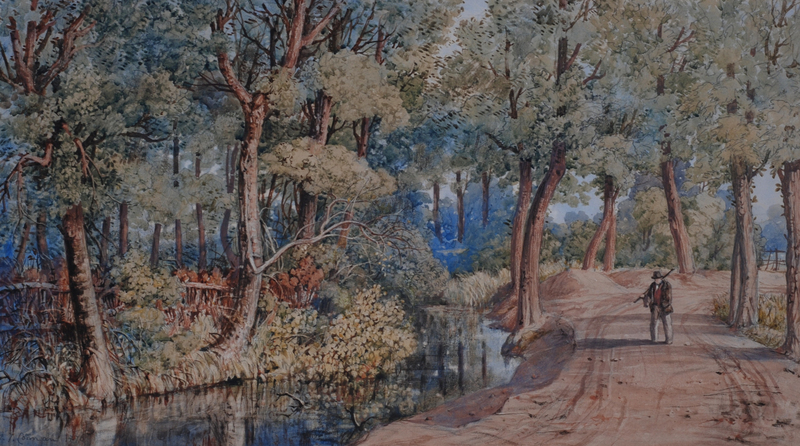 His style fresh and original, in later works he used washes of amber, deep blues and red. 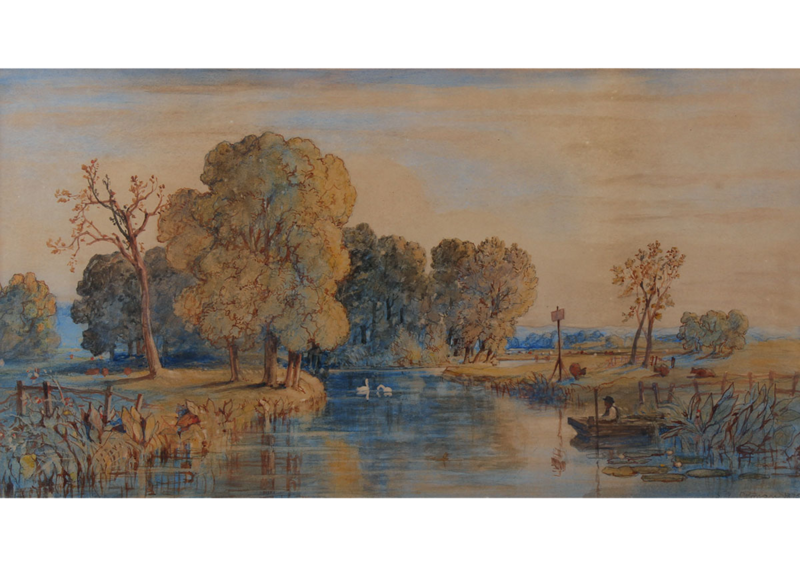 Which at the time must have appeared avant-garde. 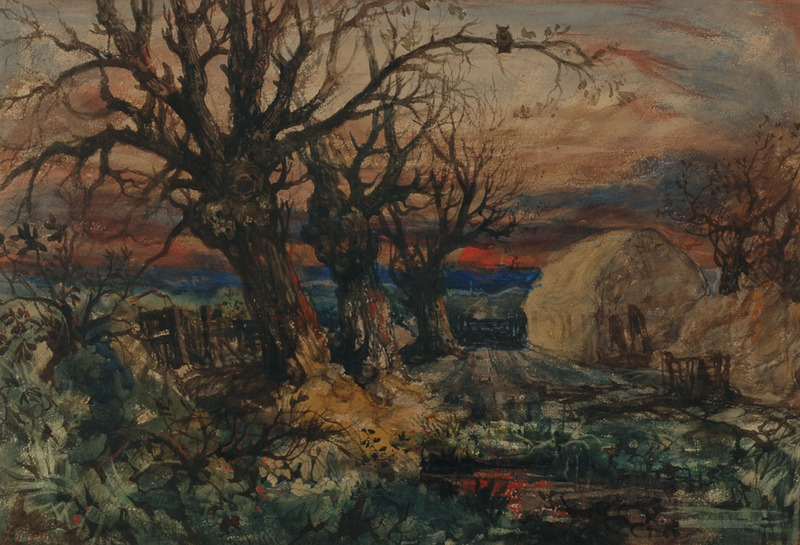 His earlier work has similarity to his father so much so his work has been attributed to the master at times. 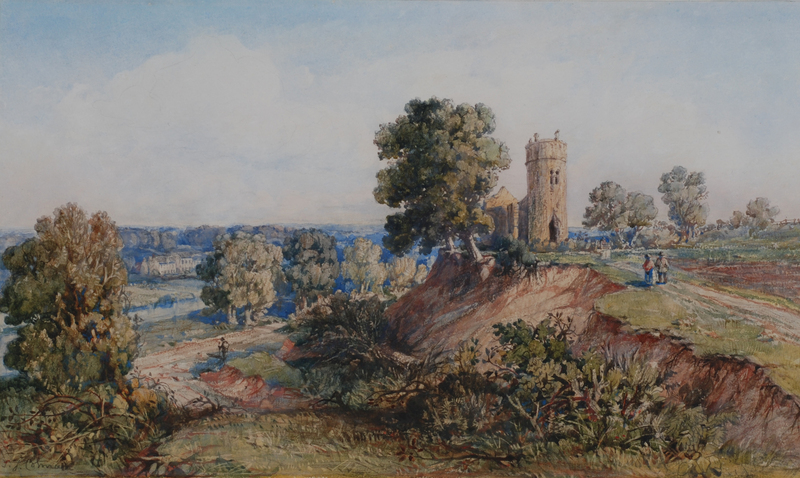 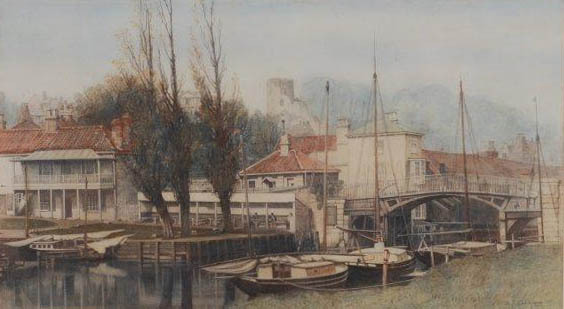 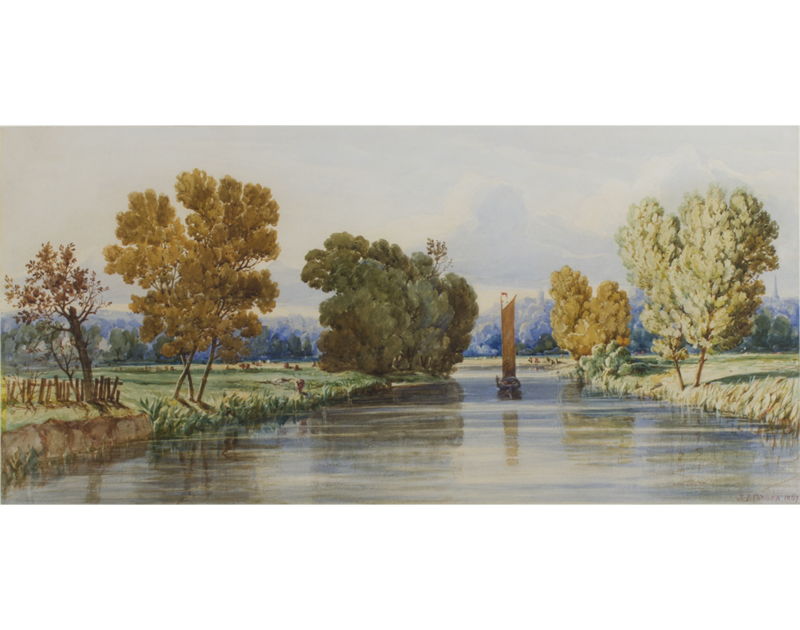 Many of his paintings depict the landscape around the river at Whitlingham and Thorpe where he lived happily for a number of years. 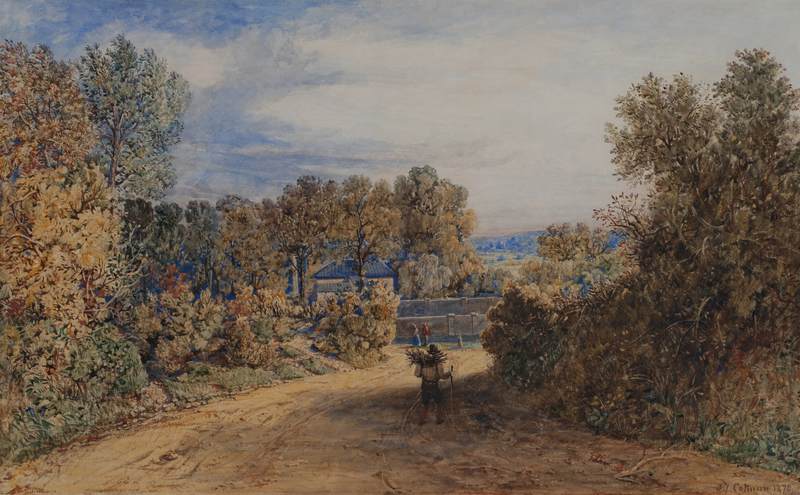 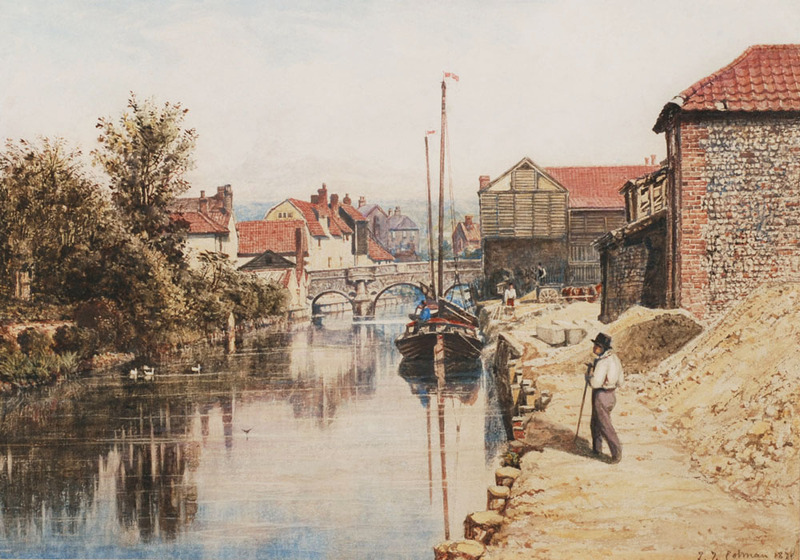 John Joesph Cotman exhibited a number of times at the Royal Academy.